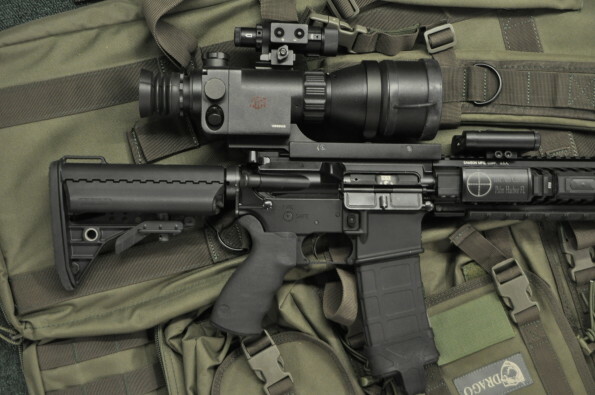 Own the dark with this night vision equipped carbine. Our Night Ops carbine starts with an Adams Arms piston platform. 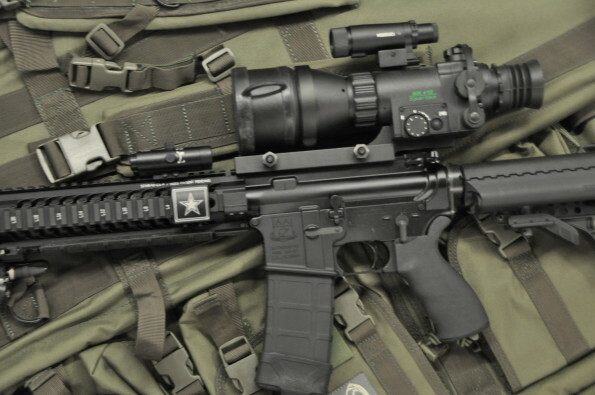 It has a Vltor stock, Ergo grip, Samson free float quad rail, and a Voodoo barrel. Surefire M720V light with white light, strobe and infared illumination. 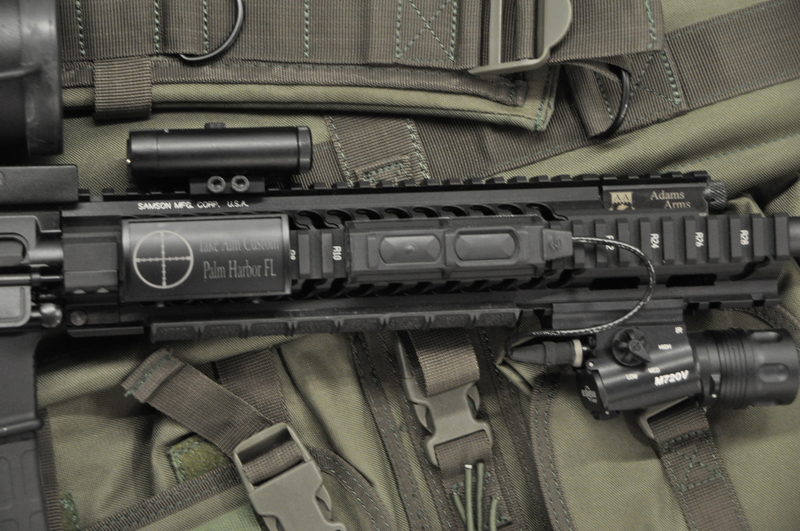 Laserlyte K15 green laser, PWS flash hider and Magpul PMag. An ATN MK410 5x night vision scope.